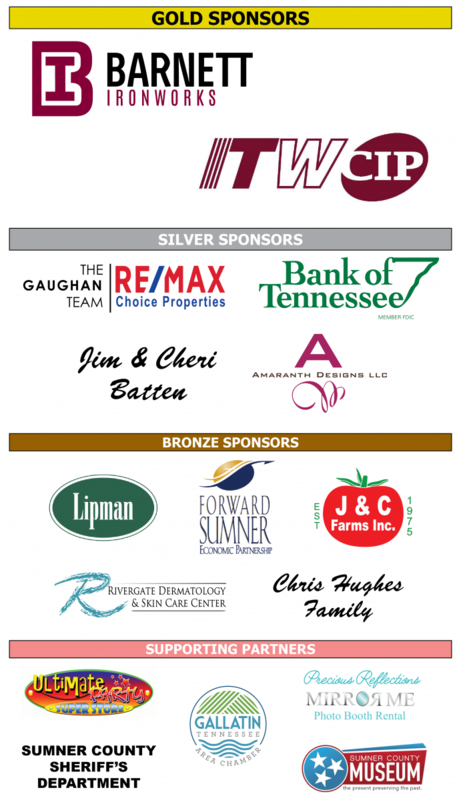 United Way of Sumner County is pulling out all the stops to produce a spectacular night of fun and fundraising at the 2019 Bloomin' Bash gala and auction presented by Primrose School of Hendersonville, Sumner Regional Medical Center, TriStar Health, and Dollar General on Friday night, March 1, 2019, in Gallatin. 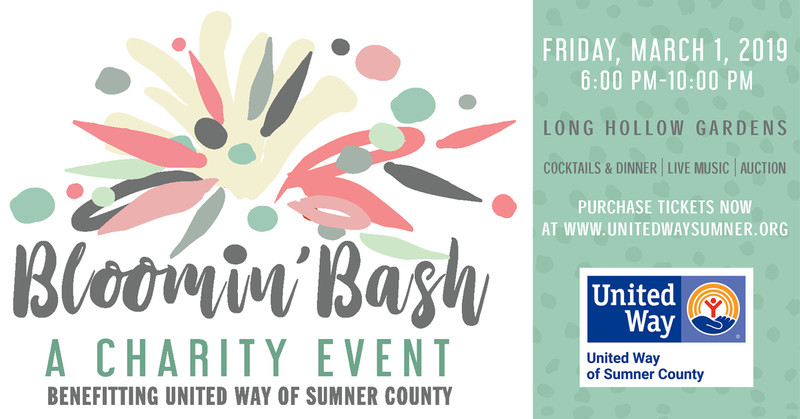 The Bloomin' Bash will feature dinner, music, lively dancing, and an amazing array of auction items, all to benefit the programs of United Way of Sumner County. The Bloomin' Bash will take place at the Long Hollow Gardens on Long Hollow Pike in Gallatin, a modern event venue with transparent ceilings surrounded by authentic botanical beauty. 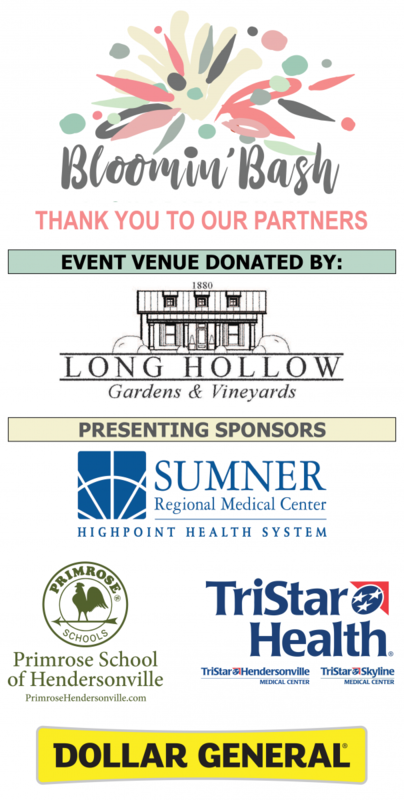 Long Hollow Gardens is graciously donating the venue for this year's event. The night begins with cocktails at 6 p.m., followed by dinner at 7 p.m., and continues until 10 p.m. with music, dancing, and auctions. Admission is $75 each, and you can buy your tickets online by CLICKING HERE! Tables will seat up to 8 people, so call your friends and plan for a great night! In addition to attending the Bloomin' Bash, there are numerous ways to get involved and make a difference for others, from being an event sponsor to donating unique items and experiences for our auction. To learn more about how you can get involved, click on the applicable button above or contact us at (615) 461-8371. Watch this space and our page on Facebook for additional event details as they are announced.